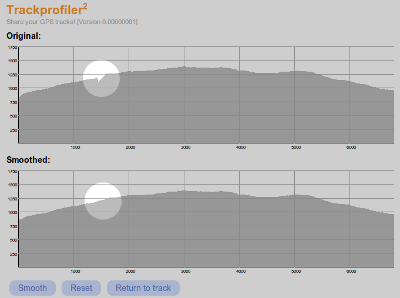 One of the most used features of the old Trackprofiler was GPS track graph smoothing. Now Trackrofiler2 has it too. Now, all you have to do is click "Smooth" to correct those errors. The lower graph is the result after the "smoothing" process.